Looking through old pictures is such a fun activity for me. WIth the popularity of social media post like throwback Thursday and flashback Friday it gives me an excuse to show off some of my favorites! The picture below I don’t remember but it reminds me of so many stories my parents and grandparents have told me about myself from when I was a toddler. My nickname was “squirrel” from my Grandpa and it was because as a child I had no fear. Climbed onto or into everything around me. For those of you who know me know that the irony in me being a no fear child. I do take risk but my “risk management” side has definitely come out. You can see how happy I am just by climbing into a basket and I think pure happiness or children is so amazing to see! Also, side note if I ever become a celebrity and they show “childhood” pictures of me you would totally know it was me. 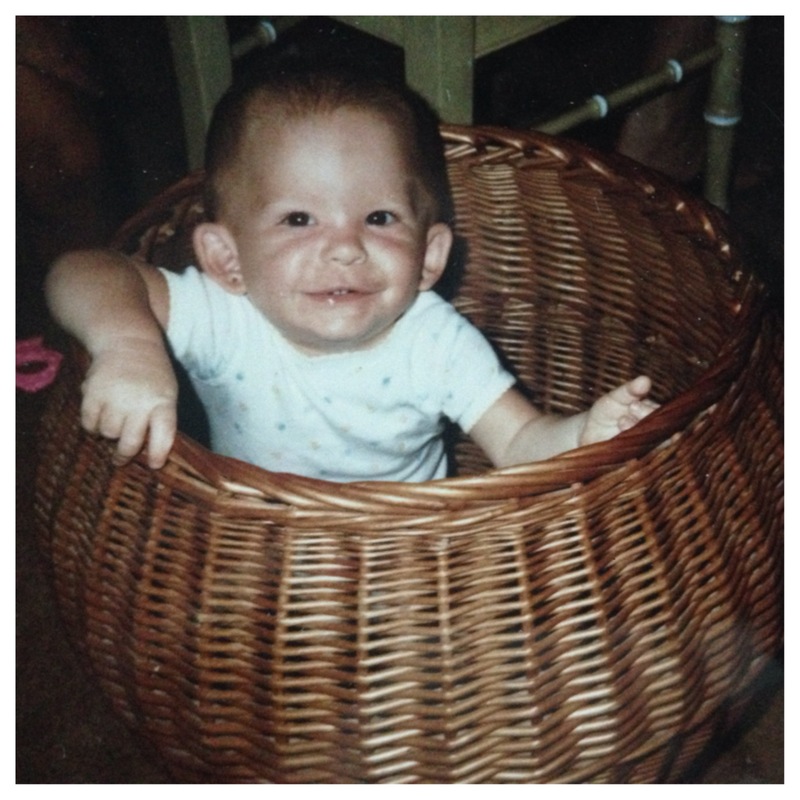 I have looked exactly the same (except for a little more hair) since I was a baby!